Squeaky floors. Not everyone likes them, and they make it tremendously difficult to sneak into the kitchen late at night and finish off that plate of chocolate chip cookies. 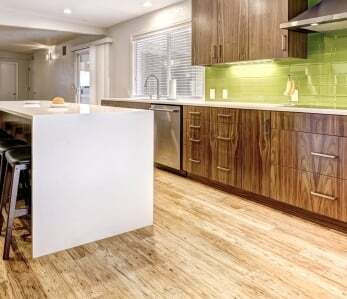 Now while bamboo is not technically a hardwood and has many advantages over it, it still experiences some of the same problems as a hardwood floor. 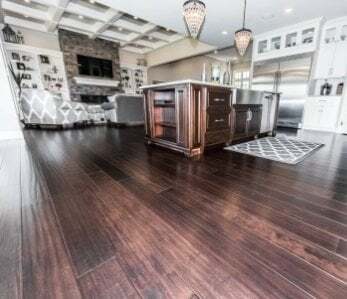 The major factor that usually causes squeaking in flooring is the sub-floor, regardless of what wood or material lies on top of it. These squeaks become annoying and seem impossible to fix. It’s a bit of a detective game to determine where exactly the squeak is coming from and what is causing it, which is why so many people give up and just decide to live with the squeaks. 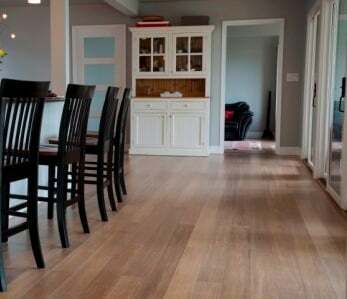 There are several different causes of a squeaky bamboo floor and it’s really a matter of locating the problem by trial and error. The first type of squeak occurs when the, the flooring beneath your bamboo floor, moves up and down. When you walk across your floor your weight actually pushes the subfloors up and down. This up and down causes the subfloor to constantly rub against a nail and produce a squeak. Squeaks can also develop if your floorboards were not properly nailed and as a result, they rub against each other. Also, improper installation of the cross bracing (these are the one-by-three boards positioned beneath your subfloor that form an X pattern between joists to keep them from twisting) may cause squeaks. When not installed correctly, these braces can rub against each other. Seasonal moisture fluctuations can also wreak havoc and cause squeaks. When the moisture inside your home is allowed to fluctuate greatly, this can cause your bamboo planks to expand and contract over time. This causes gaps to develop in your floors, and where these gaps are, nails tend to come loose allowing planks to move around resulting in an irritating squeak. To avoid this it’s always a good idea to use a humidifier in the winter and a dehumidifier in the summer to keep moisture levels in your home consistent. Generally speaking, this range would be between 40% and 60% humidity, depending on what region of the country you live in. This will not only help to avoid squeaks but also to slow the aging process of your floors. 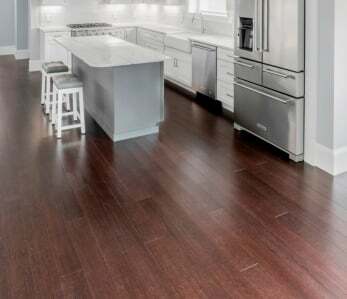 Before calling in professionals to completely take up your new bamboo floors and fix the squeak, there are some steps you can take to alleviate the problem yourself. Head down to your basement or slide into the crawl space beneath your floor. Take a flashlight, hammer, shims and carpenter’s glue with you. Have a friend or family member walk around on the floor while you are below it and listen carefully for any squeaks or movement. When you hear one, knock from below so you can alert your helper to a squeak. This will let them know to slowly walk back and forth in that area so you can pinpoint the exact location of the squeak. What you will most likely find is a gap between the joist and the subfloor. Take one of the wood shims and cover it with carpenter’s glue, then place it in the gap you discovered and tap it in place softly with the hammer. You want to tap it in just enough so it fills the gap. If you find that the space between the joist and subfloor is actually too small for a shim, then run a bead of construction adhesive in the gap instead. As the glue dries it will fill in that space and eventually harden. If you did not see a gap from underneath the floor joists then chances are your squeak is happening due to some planks rubbing against each other. A simple fix for this is to sprinkle baby powder on the floor at the area of the squeaks. This will help stop the rubbing. Simply clean excess powder off floor when done. 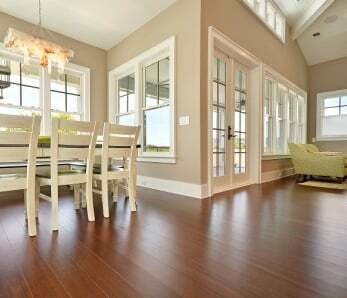 Make sure you allow your bamboo floors to acclimate for three days in your home before installation. This will prevent some of the contracting and expanding that may cause the floor to squeak. Also, if the baby powder trick doesn’t work, you may find that adding a floor rug or two will lessen the squeaks significantly. If you have to go below your subfloor know ahead of time you’re going to run into a lot of spider webs and old cobwebs, it’s just the nature of the beast. So best to wear old clothing and a mask and hat. If you find that you have to use the glue to fill the gaps, make sure to stay off your floor until the glue is allowed to dry completely. While some people have said that squeaks add character to a home, if it bothers you you’ll want to follow the steps above. The above steps should help you locate the culprit and fix it relatively simply. And, if you’re getting ready to install new in your home, make sure to take all of the necessary steps to do a proper installation. This will ensure you never have to deal with squeaks in the first place.